Welcome to USA Shaolin Temple. The Temple was founded in 1994 by 34th Generation Shaolin Temple Warrior Monk, Shi Yan Ming. The Temple teaches Chan philosophy, or Action Meditation, continuing the tradition founded by Bodhidharma (Putidamo) in the year 527. 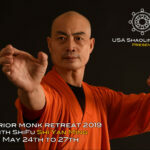 USA Shaolin Temple is conveniently located in New York City, the epicenter of the world. The Temple also has branches in Austria, Mexico, Trinidad and Tobago, South Africa, Chile and Argentina. 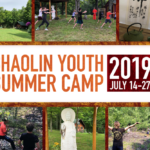 The USA Shaolin Temple teaches Chan Philosophy through the core Shaolin disciplines of martial arts or action meditation: Gongfu (Kung Fu) Taiji Quan (Tai Chi) and Qigong (Chi Kung). Students of all backgrounds, religions, ages, and athletic ability can train at Temple. 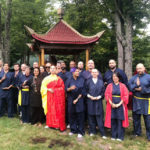 Students come to the USA Shaolin Temple from all around the world to learn and grow from traditional Shaolin training. 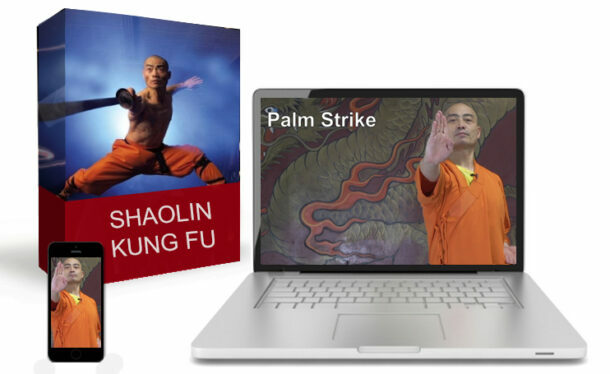 “Heart to Heart” and “Mind to Mind” is the essence of Shaolin Chan Philosophy — and this system of training spans the differences between language and culture as a direct form of growth and understanding. Students find many paths to get to the Temple; while some students seek to build better health and create a feeling of well-being, others may train for self-defense or flexibility. No mater the reason, there is a singular concept behind Shaolin training: martial arts and Chan Philosophy are one and the same. 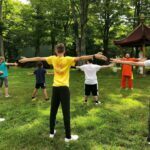 Shi Yan Ming’s dream of expanding the USA Shaolin Temple to allow for more students, as well as international students, is currently taking shape. 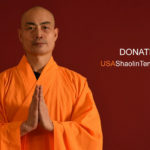 The USA Shaolin Temple has launched a capital campaign to raise the funds needed to build a new Temple in upstate New York while maintaining a presence in Manhattan. Shaolin Chan Buddhism needs a strong foundation to house these ancient traditions.Shifu Shi Yan Ming is the last monk trained in the authentic Shaolin Tradition. It is within his lifetime that we have this opportunity to share the Chan philosophy before it is forever lost. Thus, we have launched the New Temple New Life Capital Campaign to build the future for Chan Action Meditation or Shaolin philosophy. The new temple was opened on May 5th, 2012, and is currently continuing to raise funds to build a training hall and begin year-round classes and live-in programs. Help support the new temple.